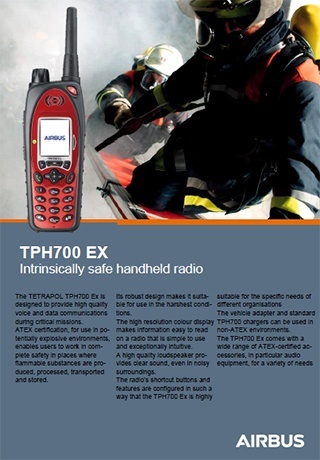 The Tetrapol TPH700 Ex is designed to provide high quality voice and data communications during critical missions. ATEX certification, for use in potentially explosive environments, enables users to work in complete safety in places where flammable substances are produced, processed, transported and stored. The high resolution colour display makes information easy to read on a radio that is simple to use and exceptionally intuitive. A high quality loudspeaker provides clear sound, even in noisy surroundings. 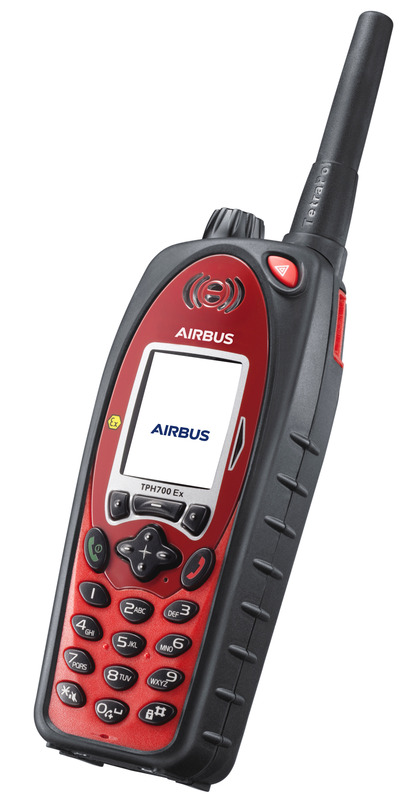 The radio’s shortcut buttons and features are configured in such a way that the TPH700 Ex is highly suitable for the specific needs of different organisations. The TPH700 Ex is robust so it can be used in the harshest conditions. The vehicle adapter and standard TPH700 chargers can be used in non-ATEX environments. The TPH700 Ex comes with a wide range of ATEX-certified accessories, in particular audio equipment, for a variety of needs. You can use the TPH700 as it is. Additional accessories may bring you more benefits. Slip it into a neck carrying case, pocket clip holder or shoulder holder, for example. Take a closer look at the accessories and carrying solutions developed for the TPH700. Have your wishes come true yet?